I was torn between writing a post with a delicious Christmas recipe and writing a post about self-love and nurture. In the end I’ve decided to do both. Fingers crossed this combo will work out. 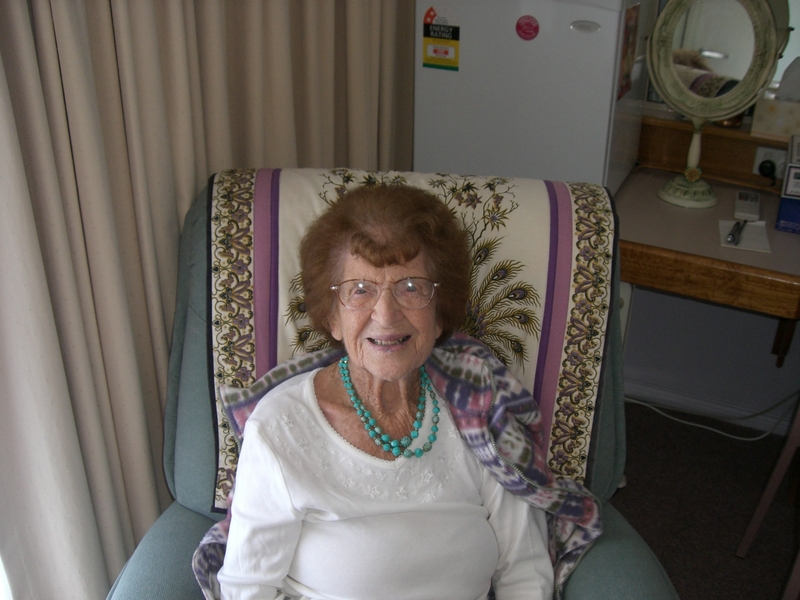 I’m dedicating this post to my Nana, Joyce, who is in her nineties, and who continues to be a wonderful influence in my life. 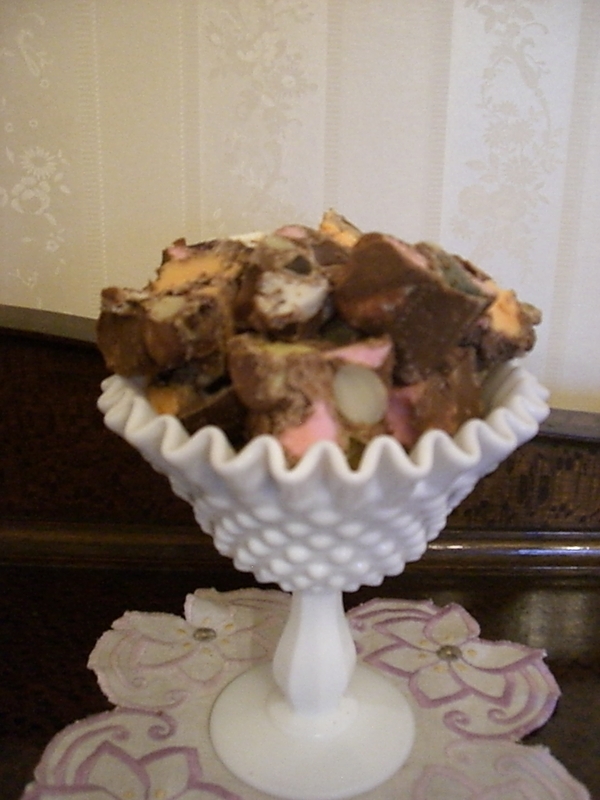 She loves Rocky Road, and I’m including the recipe for it here. Life will be hard at times. That’s the nature of life. When it gets hard, have the discipline to keep doing what you’ve always done. Take care of yourself. Hold your head high. Cry if you must but keep on going. You find a strength inside you when you try. You only find that strength by trying. It won’t come and find you – you have to find it! Take time for yourself every day. It might be a nice cup of tea and a sit-down with a magazine, or a walk through the shops. It could be hosing the garden, or working on your hobby. A little time for yourself allows you to take time to meet other people’s needs without resentment. Take a little time on your appearance. Clean hair, a dab of perfume, a pretty necklace or lipstick (if you’re a male, read cologne and other male accompaniments), dressing up a little if you’re going out – all of these things matter, and when you feel down they matter even more. Don’t let yourself go. Love yourself enough to take care with how you look. If you feel miserable, dress up and go out. Looking better often leads to feeling better. Have a dream. Maybe an overseas trip, maybe a swimming pool for the backyard, or guitar lessons. Everyone needs something to look forward to. Get a picture of your dream, to remind yourself why you are working to achieve it. Look at it often. Don’t wallow. Get up and do something. Keep busy, or go for a walk. Find something to do. Stewing in your own thoughts only ever makes things worse. Keep up your friendships. If you move to a new place, or fall out with old friends, make an effort to find some new ones. Friends help you through life and make dark days brighter. Laughing with friends is the best kind of medicine. Eat well, but allow yourself a little treat now and again. Breakfast to start your day, lunch to keep going, dinner for your body to heal itself and stay strong. Chocolate or a little good cheese after dinner for the pleasure of it. 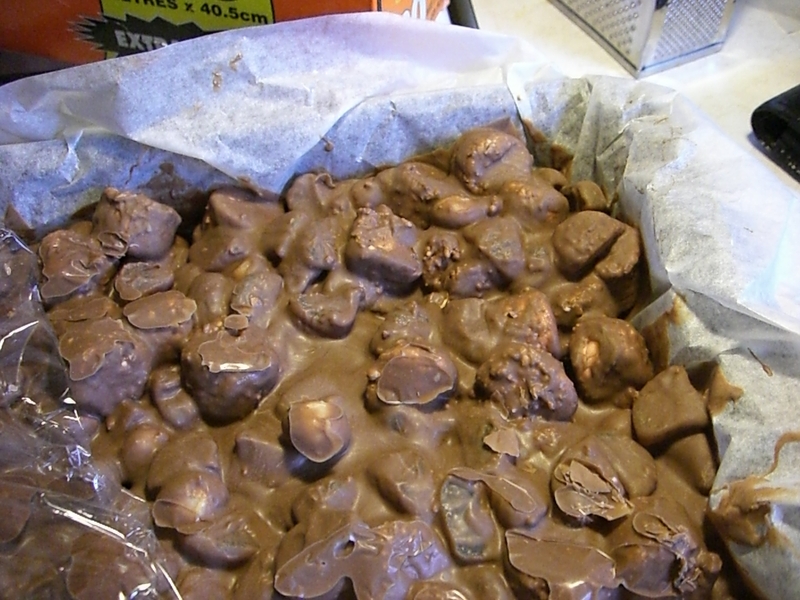 So, here’s the food part – homemade Rocky Road. It’s so easy even non-cooks can make it, and it’s a wonderful treat to spoil yourself with, or to give as a gift. It’s a simple combination of chocolate, nuts, marshmallows and jubes/jellies. You can create endless variations as your confidence grows, and to suit your own taste. Take your dish, and to it add plenty of marshmallows, and some soft jubes/jellies. (Don’t use Marella Jubes – they are way too hard. The jubes need to be soft enough to be squeezable between your fingers.) I usually chop my jubes in half. Finally, add a sprinkling of nuts into your tray. This year I’ve used four flavoured marshmallows for a tropical feel (vanilla, raspberry, apricot and banana), and teamed it with citrus jubes and macadamia nuts. Once your dish looks comfortably full transfer the ingredients to a large mixing bowl. Break up enough chocolate into a heat proof bowl to cover your ingredients. Melt the chocolate ( a microwave on low to medium works fine), let it cool a little, and then gently fold through. Dump the chocolatey mixture back into your lined pan and smooth out with the spoon. Then place into the refrigerator to cool for a few hours or overnight. When the chocolate has set, cut your rocky road into pieces, or even into logs, which can then be wrapped or bagged to give as gifts. This entry was posted in Food, Life, Sweet treats and tagged coping skills, rocky road, self esteem, self love, self nurture by Cauldrons and Cupcakes. Bookmark the permalink.